When you dine at our Florida Everglades restaurant, you’ll have a meal to remember! Whether it’s breakfast, lunch or a snack in between adventures, we have something special in store for you at Swamp Water Café. Our full-service Everglades restaurant is located inside Billie Swamp Safari on the Big Cypress Seminole Indian Reservation. Be our guest to sumptuous dishes from an array of great selections. Furthermore, our cuisine is made from the freshest and highest quality ingredients, many from local purveyors. Enjoy traditional American classics or Native American delicacies such as Seminole Indian Fry Bread, Indian Tacos and Bison Burgers. Real Everglades adventurers can try something new such as catfish, frog legs, and gator tail nuggets. Swamp Water Café offers one of the most unique family dining destinations in the Everglades with views of airboats and wildlife roaming in the 2,220- acre park. Way out here, off the beaten path, you will experience the Everglades and Seminole culture as close to the days long ago, that is now only a memory to most. We invite you to try something a little different at our Clewiston, Florida location. Stop by soon and get a taste of real Florida! Catering and group menus are also available. Contact our office for more information. 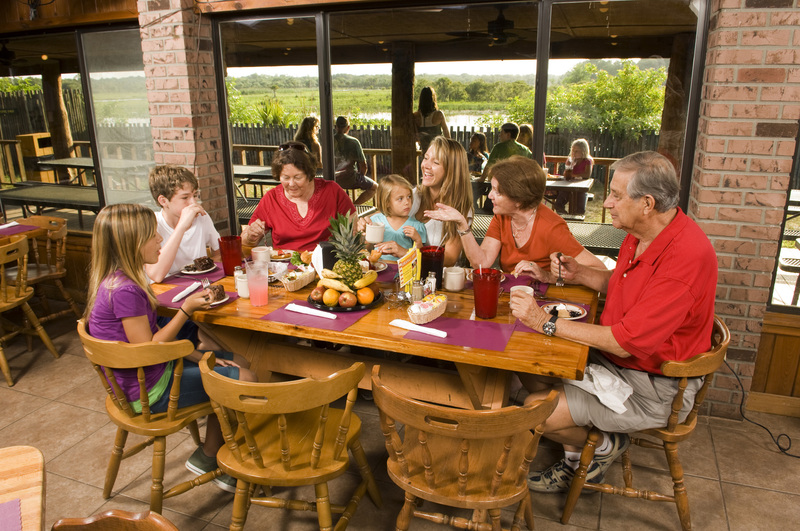 After an Everglades airboat ride and a swamp buggy eco-tour, it’s fun to sit down for some great food with your family. Don’t worry about the kids, because we have all the foods they enjoy like hamburgers, mozzarella sticks, mac & cheese and more. Also, ask about our daily specials, we also have something for everyone that you can’t find at home. At the same time, relax in our air-conditioned restaurant and start sharing stories of your best Florida family vacation ever! We’ll take care of the rest.